Time for an update! As you may or may not know I'm writing a book about creating old school RPGs as found on the SNES. Thanks for the continuing patience, for anyone who is actively following this book-writing sojourn. Basic combat has been working nicely for a while now. 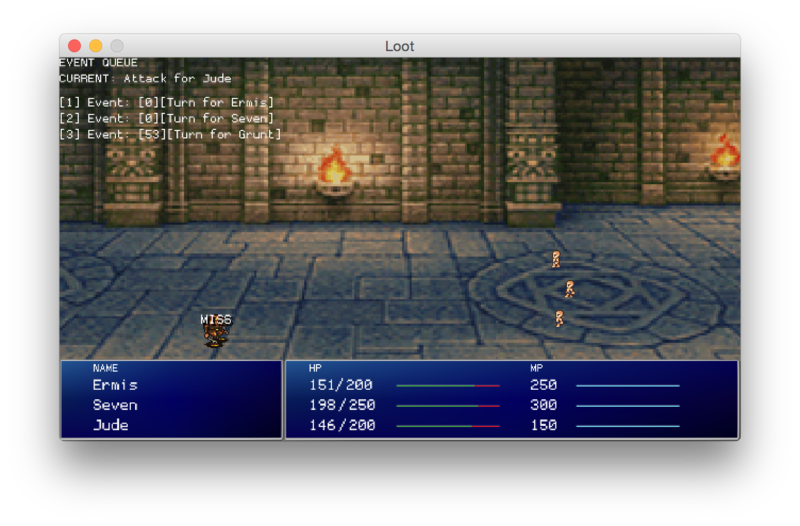 You attack enemies - special effects fire-off, numbers bounce ... all that good stuff is working. The game over state is in (when you're defeated) and combat summary states (when you win). 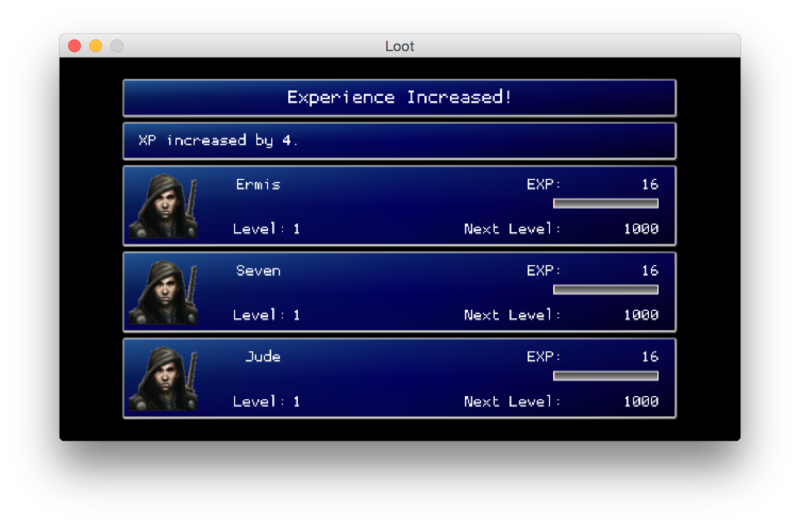 The combat summary has two screens; a screen showing XP and any level-ups, then a loot screen breaking down the gold and sweet, sweet loot you found. There's a lot of stuff happening behind the scenes; enemies have loot tables, there's a lot of state handling and hooks into the inventory and levelling system. I've been writing all that up for the book too. After basic combat comes .... advanced combat! Basic combat takes the attack stat of the attacker and subtracts it from the enemy HP. It was very simple and did the job but a real game needs a bit more flavour. 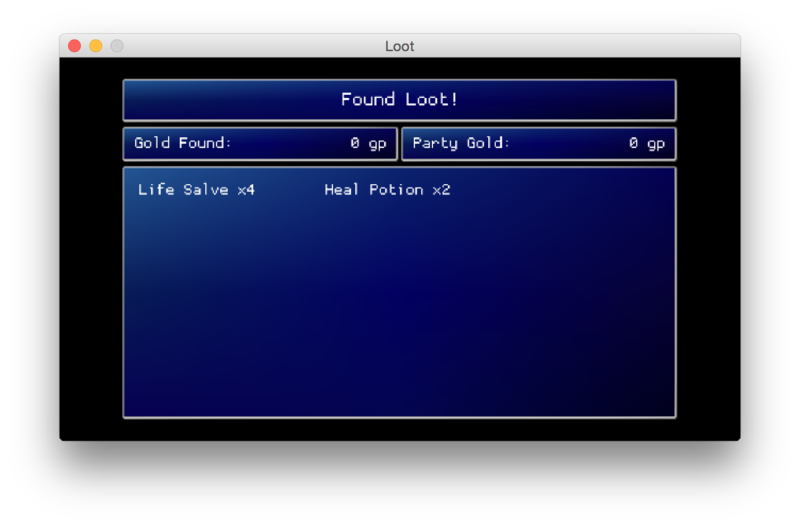 Next up I'll be adding fleeing, items, magic and special attacks. Then that's combat done ... apart from the end of section mini-game. I've been reading http://www.kalzumeus.com/blog/ where patio11 blogs the creation and marketing of a software product, sharing the numbers and strategy along the way. I found it addictive reading. I'm obviously not a rational actor in the economic sense - I'm writing this book and I will sell it but it's not the most profitable side project I could have undertaken. Still it's one I'm enjoying and at the end I'll have a nice codebase.